Treats minor cuts, scrapes and abrasions and helps prevent infections. 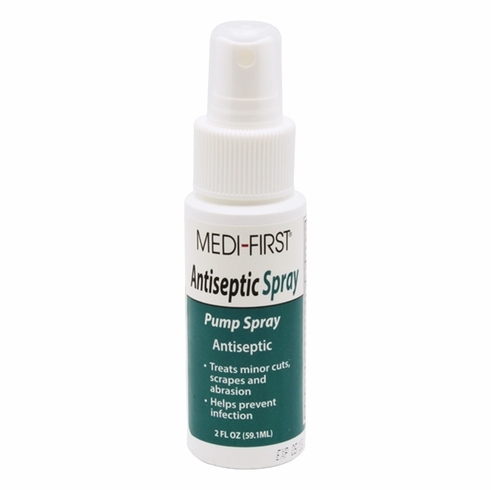 Non-sting antiseptic spray contains active ingredient Benzalkonium Chloride (0.13%) to kill germs and help prevent infection in minor cuts, scrapes and burns. Shelf life: 3 years from date of manufacture.